Naloxone is an opioid antidote and can reverse the potentially fatal effects of an overdose. Naloxone is effective against all opioids including: codeine, morphine, hydromorphone (Dilaudid®), meperidine (Demerol®), oxycodone (OxyContin®), fentanyl, heroin, methadone, buprenorphine and others. a family member, friend or other person in a position to assist a person at risk of overdose from opioids. 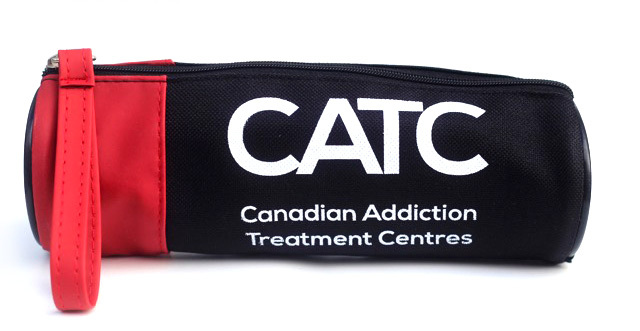 Preventing an Overdose – Harm Reduction Strategies. Step 1: Try to arouse the person by shouting their name and shaking their shoulders. Step 2: If the person is unresponsive, always call 9-1-1 first, before administering naloxone. Step 3: Give Naloxone nasal spray (1 spray into the nostril) or Naloxone injection (inject 1 vial into the arm or leg). Step 4: Each dose of naloxone can take 2-3 minutes to have an effect. Perform rescue breathing and/or chest compressions (if properly trained) to increase circulation and delivery of oxygen and naloxone to the brain. All kits come with a CPR barrier mask for those who are trained. Step 5: If there is no improvement after 2-3 minutes, repeat steps 3 & 4. Each kit contains 2 doses of naloxone. Stay with the person until emergency assistance arrives. 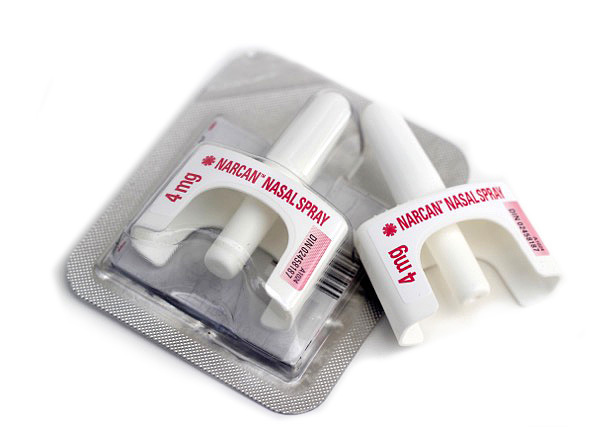 Naloxone nasal spray is absorbed through the mucous membrane of the nasal cavity and does not need to be inhaled by the person receiving it. The person should be on their back with their chin pointed upwards to ensure the liquid remains in the nose to be absorbed. Each nasal spray contains one dose only, always use the full dose/spray. The duration of most opioids is longer than that of naloxone (30-90 minutes) so emergency medical help must always be summoned, even if the person wakes up. With powerful opioid alternatives available, it is possible that more than 2 doses may be required to revive a person. It is also possible that people may require additional doses of naloxone to remain alert once revived. This is why we always contact 911 before administration, to ensure help has arrived before the resources in the emergency kit have run out. Naloxone may precipitate withdrawal symptoms. In most cases, naloxone will only produce mild withdrawal symptoms, however, the benefits outweigh the risks associated with these withdrawal symptoms. After using your kit, remember to return to your pharmacy to receive a replacement kit as soon as possible. Q: Do I need a naloxone kit if I only use prescribed opioids? A: Yes, anyone taking any opioid is at risk of adverse effects such as decreased respiratory rate. Naloxone can reverse these effects. Q: Is naloxone only for people who are prescribed an opioid or use opioids regularly? A: No, naloxone can save lives if someone else gets access to a person’s opioid and overdoses. Overdoses can happen accidentally in people not using or abusing opioids. Q: Do I need a prescription for naloxone? No, naloxone is available in Canada without a prescription. Q: Can naloxone be given to children? A: Yes, if a child has overdosed on an opioid, naloxone is the recommended treatment. If the child is not accustomed to having opioids in their body, the naloxone will not cause any withdrawal symptoms. 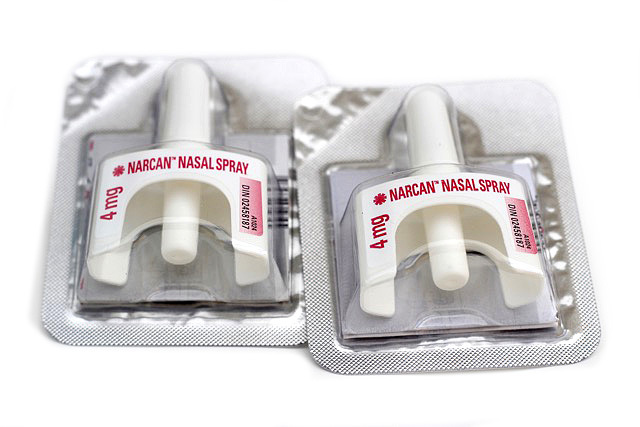 Q: Is nasal spray or injectable naloxone better? A: Both! Naloxone nasal spray may be easier for some people to administer, especially if they are uncomfortable with using syringes. Injectable naloxone may work quicker and is a safe and less expensive alternative. If someone has overdosed on an opioid and is in need of naloxone, any kit (nasal, injectable) should be used. Q: Do I have to pay for the naloxone kit? A: In Ontario, naloxone kits are available free of charge for anyone who currently uses, has a history of using, or knows someone who uses opioids (prescription or non-prescription). Kits are also available at no cost for people who may encounter opioid overdose (for example at work, or in their apartment building, community, etc.). Q: Where should I keep my naloxone? A: Naloxone should be stored at room temperature and protected from light. Avoid storing naloxone kits in a car, where exposure to extreme heat or cold may impact the stability (effectiveness) of the medication. The nasal sprays should be kept in the original packaging. The injectable naloxone should not be pre-loaded into the syringe as this could compromise the sterility and stability of the solution. It is a good idea to inform friends and family members where the kit is stored. 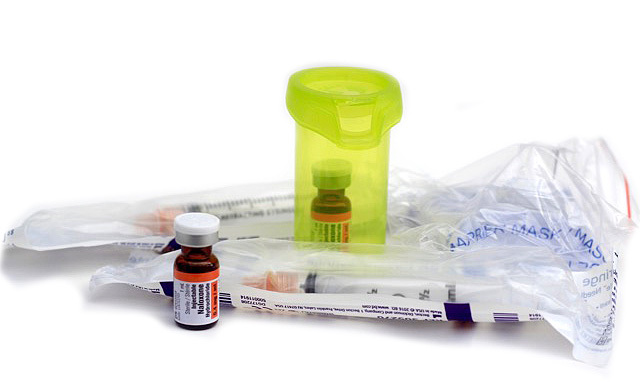 Q: When should I replace my naloxone kit? 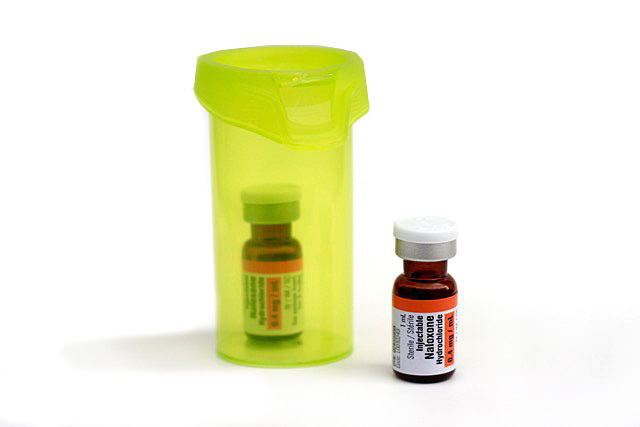 A: The naloxone expiry date can be found on the vials, or nasal spray. You should replace your kit as this date approaches, or if your naloxone becomes discoloured, cloudy or contains particles in the liquid. 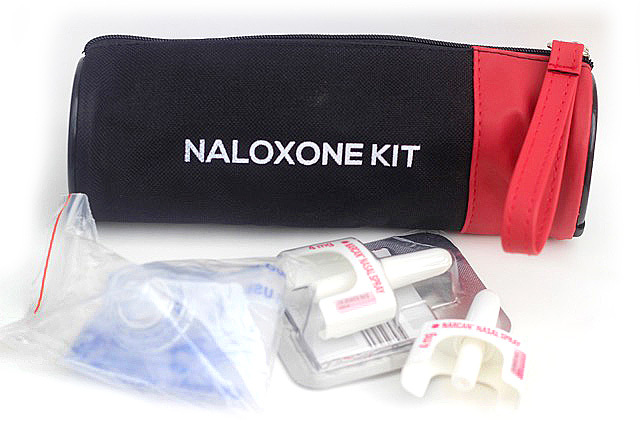 You should always replace your naloxone kit as soon as possible after use. Will naloxone help a cocaine or alcohol overdose? A: No, since these are not opioids, naloxone will not be able to reverse the effects. If you are unsure what the person has overdosed on, and they are displaying signs of an opioid overdose, you can still use naloxone. If an opioid was not the cause of the overdose, it will have no effect (neither harm nor benefit). Q: Does naloxone encourage unsafe opioid use? A: No - Early surveys of opioid users showed they do not use opioids more often if naloxone is available. Naloxone programs also increase the awareness of opioid risks, provide essential education to the public, and help to save lives. Q: Does the government keep track of everyone who receives a naloxone kit? A: No, Ontario health card numbers are used to ensure the pharmacy is reimbursed for the costs of the kit through the Health Network System. However, if you do not have an Ontario health card or do not wish to provide identification when obtaining a naloxone kit, your pharmacist may still provide you with a naloxone kit, free of charge. Q: I have received a kit from a family member before. Why do I still need training? A: Your pharmacist simply must ensure you are aware of a few things, including how to identify and respond to a suspected overdose, and how to properly use the kit. If you have already received a kit from someone else, this “refresher” training likely will only take a few minutes. Q: Is there a limit to the number of kits I can receive? A: You can receive up to 2 kits at one time. If you use your kits, they expire, or are misplaced, we can provide additional replacement kits. Your healthcare provider will ask you a few quick questions to assess how the kit was used and its effectiveness. Q: Can I get charged for possession of a controlled substance if I call 911 to help someone who may be overdosing? A: Under Canada’s Good Samaritan Drug Overdose Act, overdose witnesses and victims who seek emergency help have some legal protection. The act can provide protection against charges for possessing drugs for your own use, or for violating conditions of your parole, bail, probation or conditional sentence for a simple drug possession charge. An overdose is a medical emergency where seconds count. Please do not delay in calling 911. Additional information can be found, here.